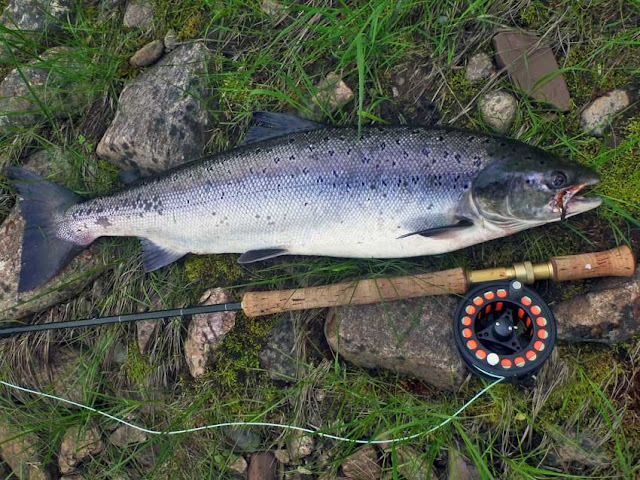 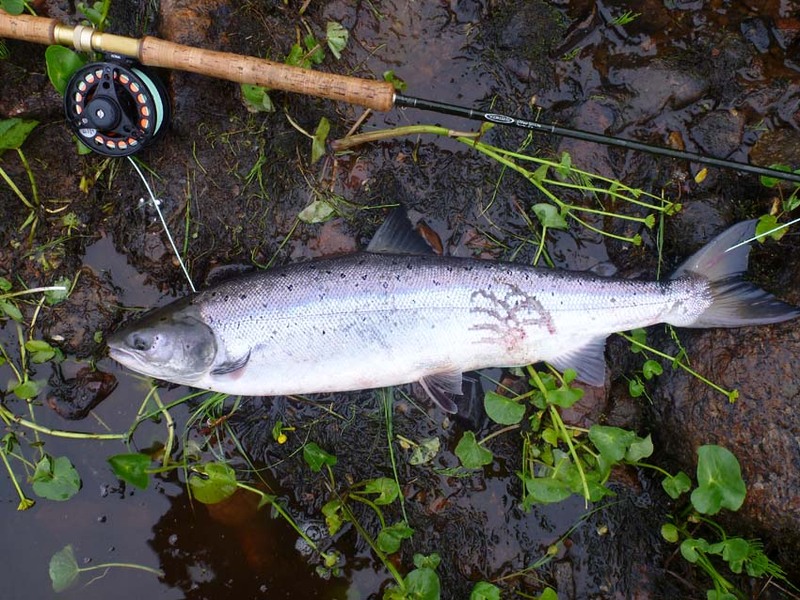 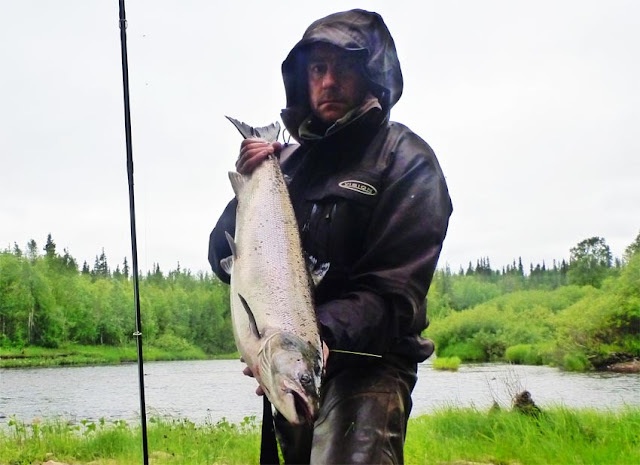 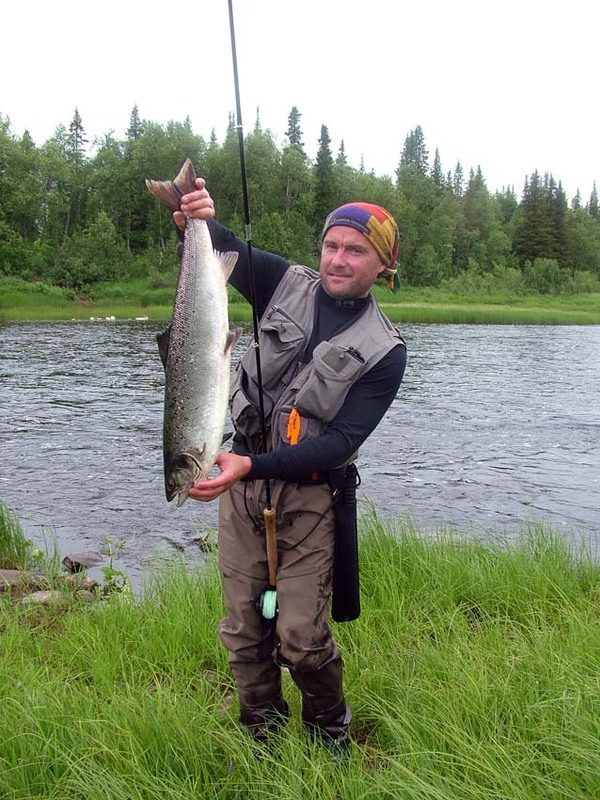 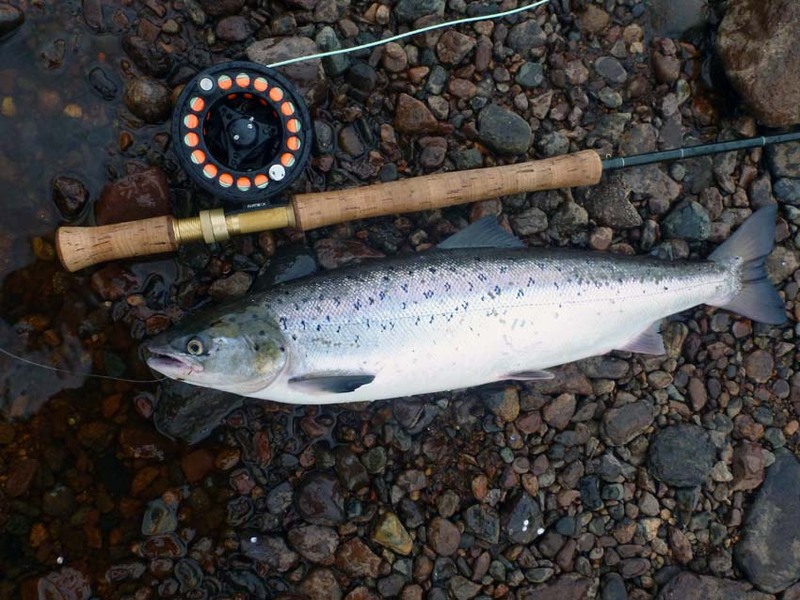 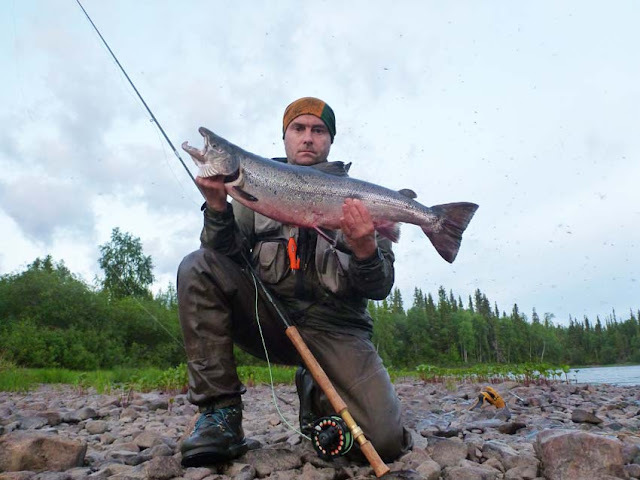 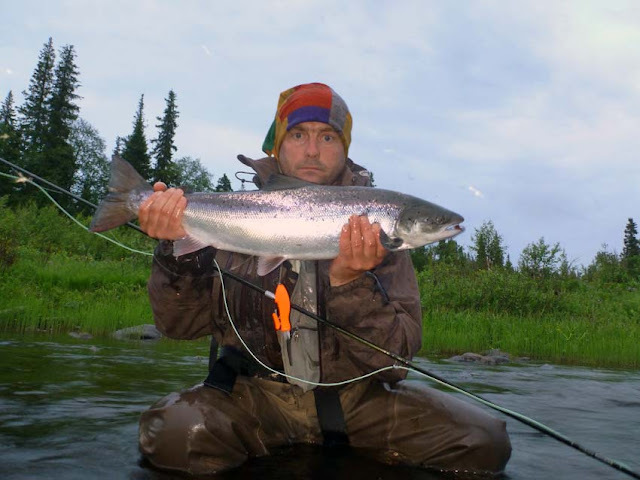 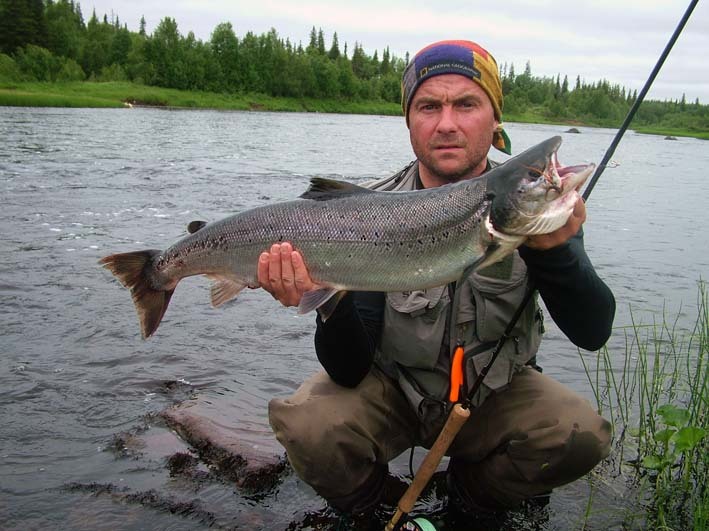 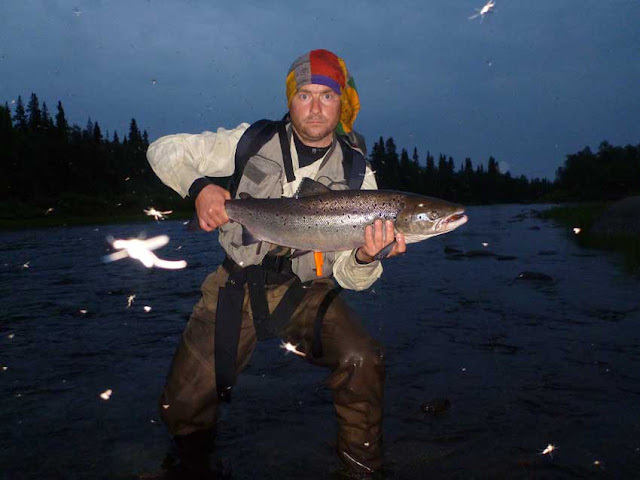 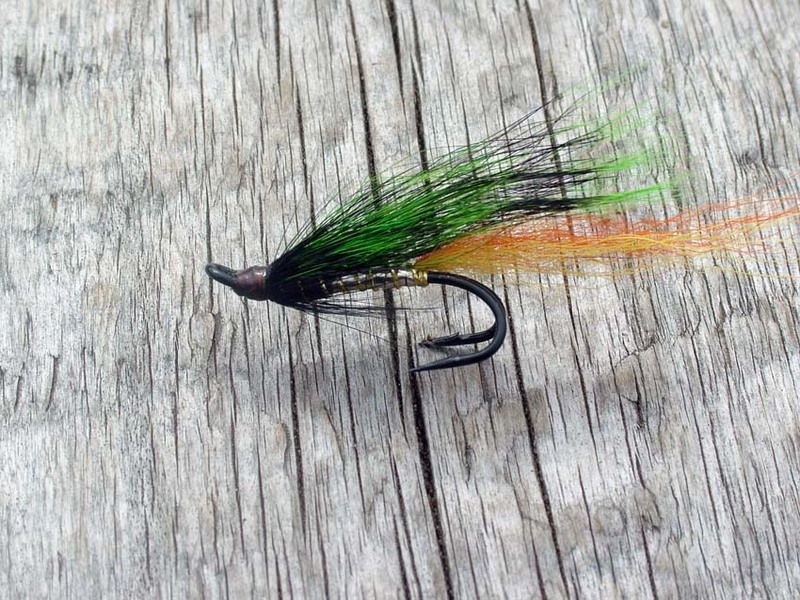 Chavanga Fish Blog: Salmon fishing, high speed method. 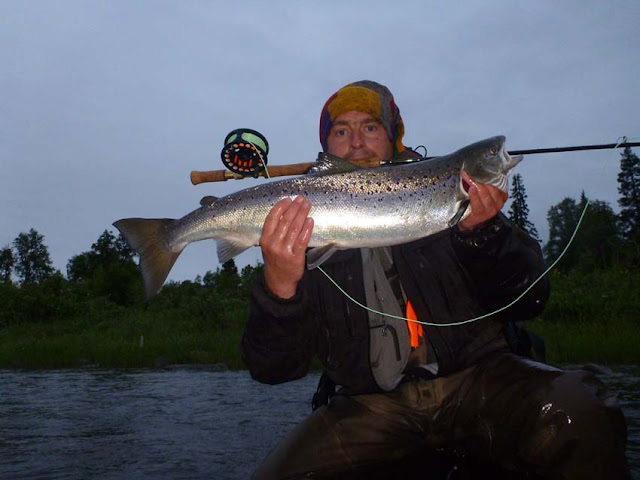 End of June. Tactics of search of active fish was enough productive. 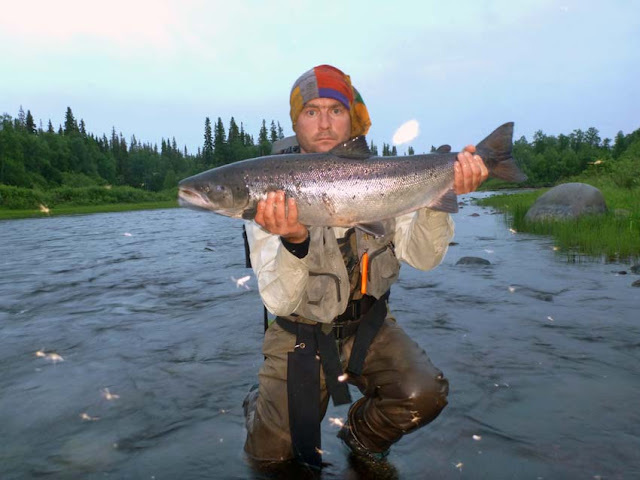 The river has many places, sites with a rapid current, stones, deep tunnels in which the salmon can stop. 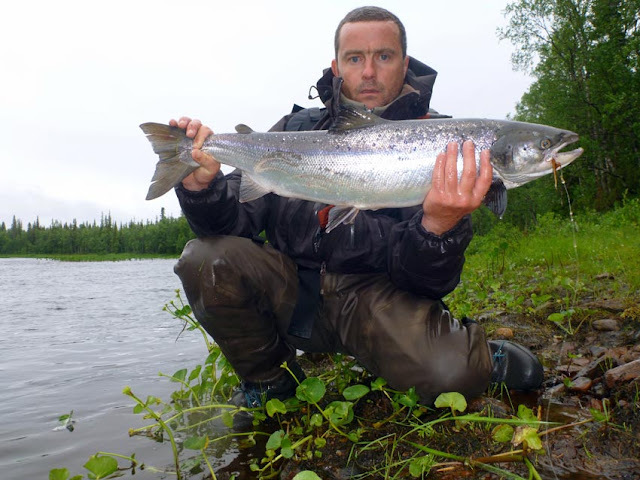 The salmon comes from the sea and quickly loses activity in unusually warm water of the river. 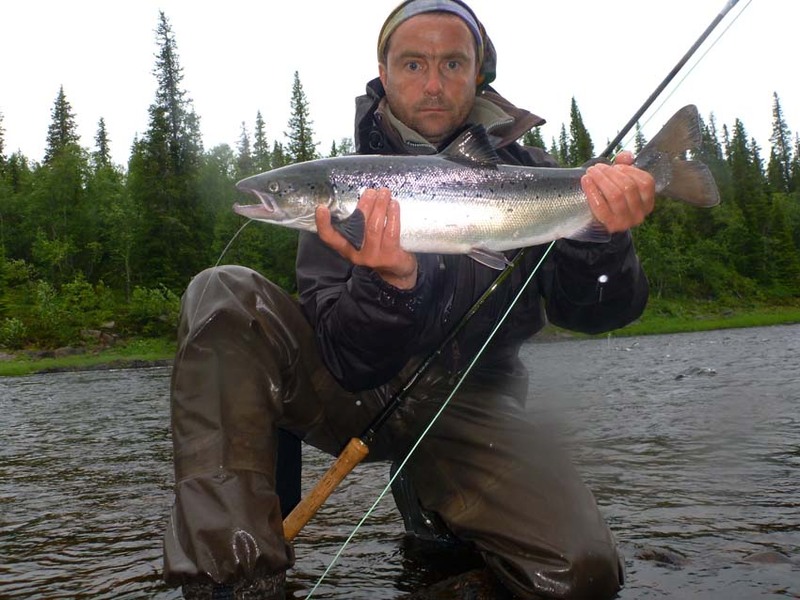 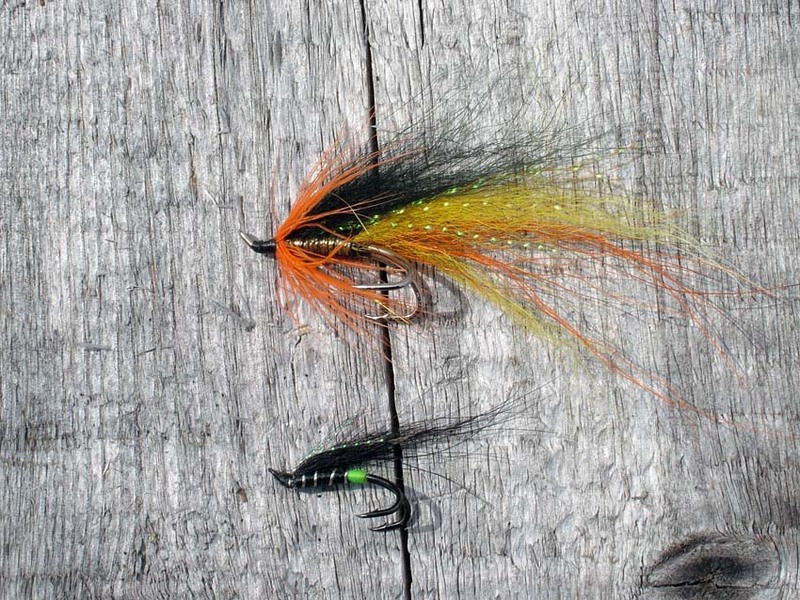 For two or three days the salmon in warm river water ceased to react to flies and became invisible. 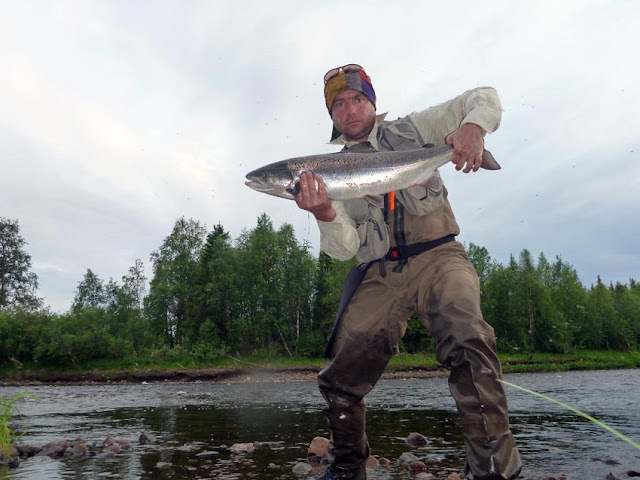 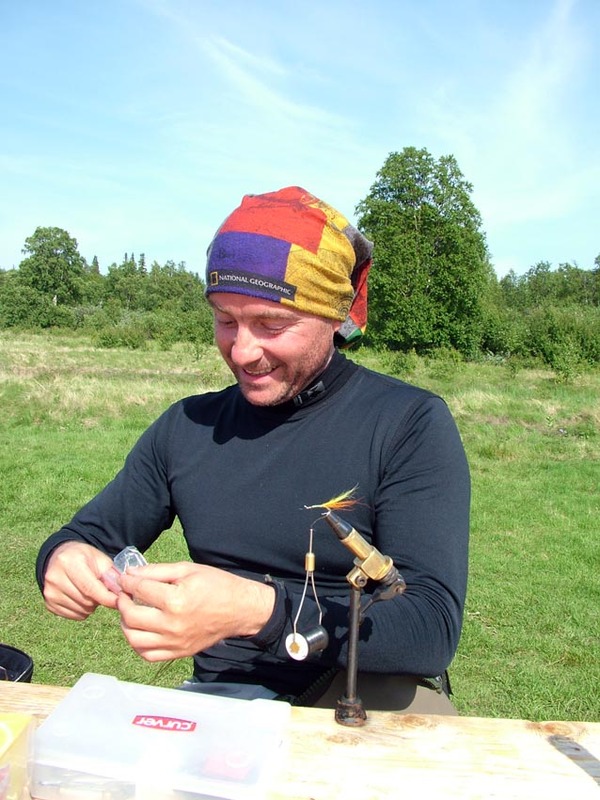 Therefore there was a sense quickly to investigate various sites of the river to find the most active fish. Here some photos which were made by our friend Peter are presented. 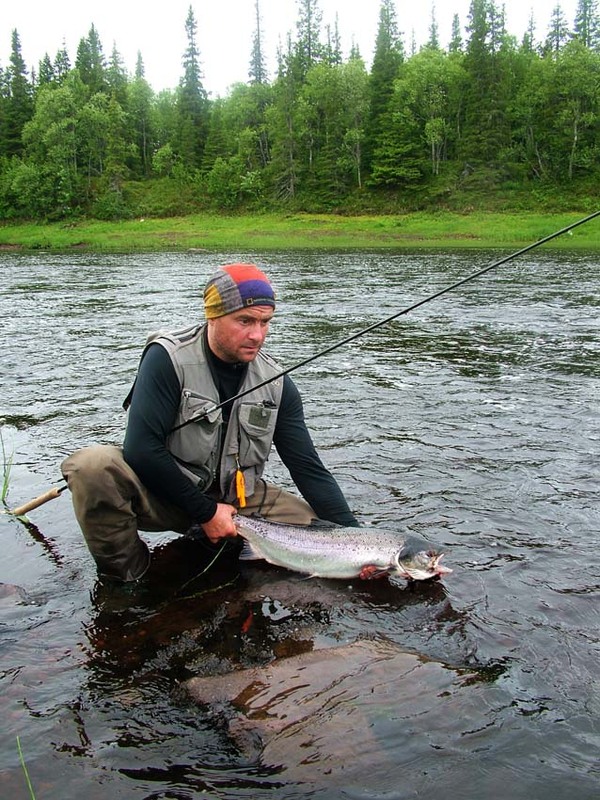 Which has visited the river from 20.06.2011. It used the camera on a support and photographed itself. He chose aggressive flies , in style cascades. The most successful for catching were evening and night hours when water temperature fell on one, two degrees.